Spring seems to be back! It's nice to have a bit of sun before heading down to the Big South again! We still enjoyed a bit of Tassie though. Last weekend we went to the Tasman Peninsula in Koonya to play a big big Nerf Battles! This is simple: around 20 persons between 20 and 40 yo, all equipped with one. 2 or maximum 3 "guns" and heaps of soft ammunitions. The Ner are brightly colored toy objects that look like guns and shoot foam darts that do not hurt when they hit you. It's been great fun to play with them! Roll in the mud, jump over obstacles, play in a team or solo, get excited, finish a game and want to do it again! 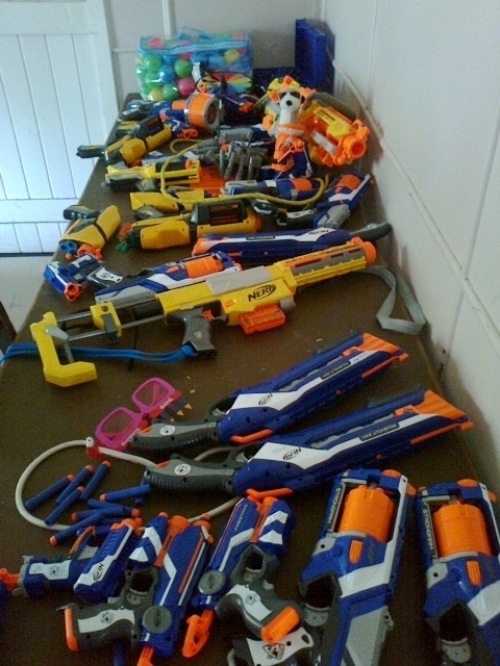 Look at all the guns and foamy darts we got. Impressinve isn't it? 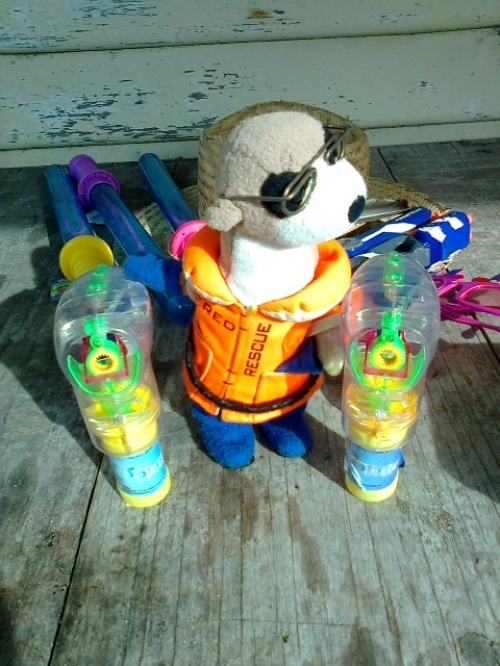 2 of the girls also bought 2 bubbles gun, I might prefer these ones. The day finished with a big BBQ and a fire with guitar players, dances, fun and a camping night! It's a really exciting project and it will be lot of hard work but sure also unforgettable moments. The ship is leaving from Hobart next Tuesday around 1pm. It has been newly repaint and is now bright orange. Quite pretty to see it from the shore and the harbour! I can't wait to sail!! Hope you're all well guys!